For the record, I love figs. We hear about them multiple times in the Bible, including today's Gospel from Luke, in which Jesus tells a parable of the barren fig tree. 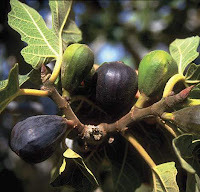 Which got me thinking .... fig trees are a huge letdown. First, it can take some time (up to five years) before a fig tree even produces fruit. Second, they only bear fruit twice a year - and one of those times yields an inferior fig. This, by the way, is very frustrating to a fig lover. You wish it would produce consistently over the whole year, rather than peaking once or twice. Then it dawned on me. Jesus could tell a fig parable about me! Like the fig tree, it took me a long, long time before I started producing anything Jesus would consider "fruit". Second, I tend to "peak" religiously during the seasons of Advent and Lent. And just like I wish fig trees produced all year round, I'm sure God feels the same about me. I just pray the negative similarities end there, and I never get to the point where Jesus curses me! I didn't know all of this about figs! Love how you compared yourself to a fig tree. We all go through peaks and valleys. Thank goodness, God is so patient with us. God bless! For the record: I love figs too. And I am really disappointed with them. I have planted six in my house. One was indoors in a tub in a glass-covered veranda. Nice and warm and sunny. It produced a dozen figs in the first year. I was told to plant it outside in the garden. I did so. It produced a lot of large leaves which would have been useful had I been going to a fancy dress party dressed as Adam! But no figs. I bought more fig trees. planted them in tubs and left them in the garden. No figs. I have another tree in a tub indoors in the veranda. A few figs ... still not ripe. As for me? Yes ... I do look like a fig tree at times !!! I hope God has more patience with me and leaves in in His nice veranda and not throw me on the waste stack with all the other unfruitful fig trees destined for the fire. This is a brilliant post, Michael. Your writing is getting better all the time. I'm envious. Ha! Jesus would never curse you! 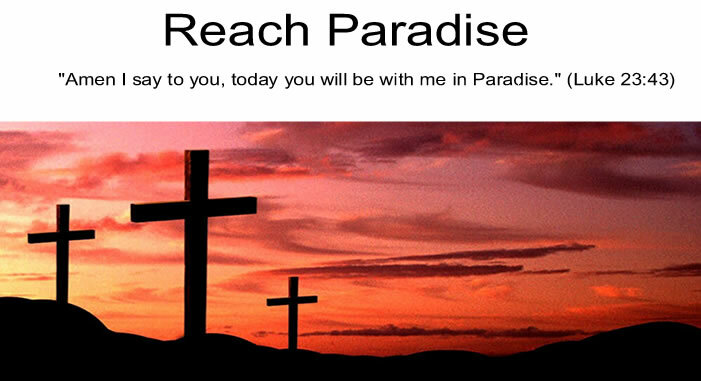 You are a wonderful evangelizer of our faith! God bless. Guilty! I no doubt resemble the fig tree in the Gospel too. I am so glad the Lord is patient! Great analogy - will remember this each time I eat a fig. Thanks Michael. Colleen: God is SO patient with us. Thanks for the kind words. Victor: I'm glad I'm not the only one frustrated by this delicious fruit. And your compliment means a lot coming from one of the best writers I know. Thank you. Noreen: Why thank you. That comment gave me the chills. Andie: Glad to help! Thank you for the kind words.